Brussels, 7 May 2016 – The Public Affairs Community of Europe (P.A.C.E. ), which gathers lobbyists’ national associations in the EU and public affairs professionals, held its sixths EU annual meeting on May 6th – 7th in Bucharest, hosted by the Romanian Lobbying Registry Association. 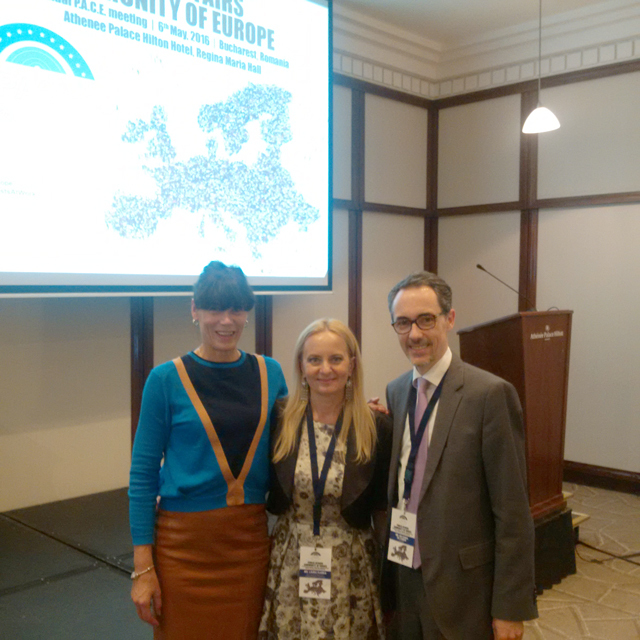 EPACA board member, Kerstin Duhme and SEAPs Director General, Rui Faria da Cunha a presentation on updates and developments in the European Union.